EIFS (Exterior Insulating Finishing Systems), either drainable or barrier, are widely used in a number of applications both commercial and residential. The continuous exterior insulation board improves the overall energy efficiency of a building and the EPS insulation allows for a cost-effective construction of architectural details like moldings and corners. EIFS is a versatile product available in various textures and colours and is less prone to surface cracking like traditional stucco. Through the use of specifically designed EPS products manufactured by TrueFoam, EIFS wrap the exterior walls of your building in an energy-efficient thermal cover. By insulating outside the structure, EIFS reduce air infiltration, stabilize the interior environment and reduce energy consumption. By contrast, traditional "between-the-studs" insulation, no matter how thick, leaves "thermal breaks." These gaps allow heat and cold to pass more freely between the outdoors and the space within the studs, wall outlets, wall joints and elsewhere. In fact, using TrueFoam’s EPS as part of an EIFS can reduce air infiltration by as much as 55% compared to standard brick or wood construction. And since walls are one of the greatest areas of heat and air conditioning loss, improvement in the wall insulation can be very meaningful in terms of energy conservation. 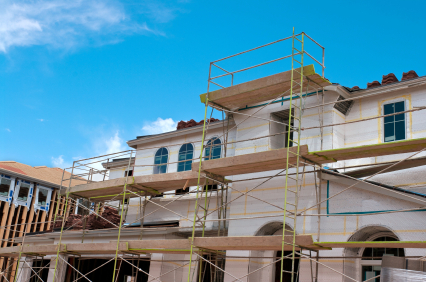 With TrueFoam’s EPS, skilled applicators can create all sorts of exterior architectural detailing that would often be cost-prohibitive when using traditional construction methods. Cornices, arches, columns, keystones, cornerstones, special moldings and decorative accents are some examples of the versatility offered by EIFS. Most of this detailing is computer-generated. The designs are precision-cut out of insulation board, attached to the substrate or wall, then covered with the EIFS base coat, mesh and finish coat. Using this innovative process, EIFS applicators can give a striking, distinctive appearance to any building or residence. EIFS are definitely not do-it-yourself wall claddings. They should be installed only by experienced applicators who have completed an EIFS manufacturer's training program. To ensure long-term performance of EIFS, you should select a knowledgeable, experienced applicator who has current approval of the manufacturer.